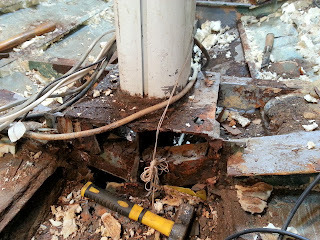 The mast base looks like its been standing for years in the salt water...and I think rigth that was happen. 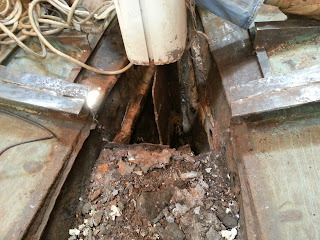 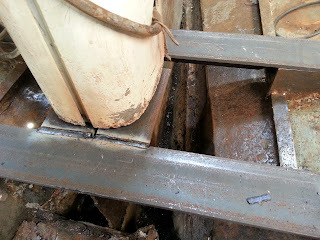 The bilge form hase made it impossible to drain away all the water coming in by the mast. 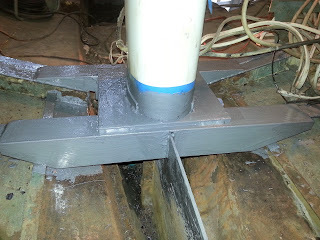 So we go on to change the plate and the base construction.